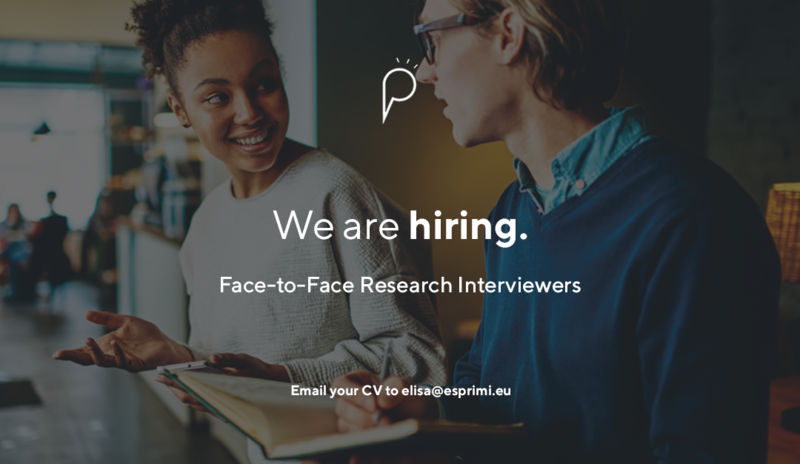 We are looking for confident, motivated and enthusiastic individuals in both Malta and Gozo to join our dynamic team as face-to-face research interviewers on a temporary basis. The selected candidates will carry out on-street and door to door interviewing between April and May of 2019. Remuneration is per completed survey. Successful candidates will be allocated areas close to their homes and given transport allowance to cover any travel expenses. Full training and support will also be provided by our in-house training team as soon as you join us. Previous telephone or face-to-face customer service experience is a plus, but not required. Successful candidates may also be selected to join our research team on a long-term basis. To apply for the role please send your CV to Elisa at elisa@esprimi.eu by Wednesday, 20th May 2019.